exclusives available at SDCC this year. Also, this fun website plays two videos side by side (from Vine and Instagram respectively) and lets you pick which one you think is the best. Vine is currently winning the battle with 13657 votes, while Instagram has 11747 votes. So who is the better video sharing app? Only time will tell, but we have millions on millions (literally) of both Vine and Instagram videos to look through in the meantime. We’re already well into 2013, (which is scary) and there are loads of new, exciting films that are being released within the next few months. There’s some obvious ones that we’re stoked about, and some… not so obvious ones. A ton of sequels, a few remakes and more. Check out our picks below and watch the trailers if you haven’t already! The Great Gatsby - Leonardo DiCaprio AND directed by Baz Luhrmann. This is going to be one extravagant depiction of the roaring 20’s, as it should be. The Hunger Games: Catching Fire - Read all 3 books in about a week and it’s killing me that I have to wait all the way until November for this to be released. Monsters University - Pixar follow up to Monsters Inc with Billy Crystal & John Goodman! Anchorman: The Legend Continues - Will Ferrell as Ron Burgundy, again… enough said! The Hobbit: The The Desolation of Smaug - More 3D 48fps from Peter Jackson? Why yes, I think so. Star Trek Into Darkness - J.J. Abrams brings back the cast of the Enterprise including a young Captain Kirk. Having paid my dues with the rest of the film students, I’m no stranger to the crowd-funding phenomenon known as Kickstarter. However, I’m used to it gathering backing for the most recent and “creative” post-apocalyptic student film trying to “make it” in the independent film festival circuit, not a big name from television/Hollywood. Thus begins an intriguing turn of events for the advent of crowdfunding and the (once) overlooked power it possesses. I thought it was truly extraordinary when the Veronica Mars film gained 100% backing via Kickstarter in just over a day, but now we have Zach Braff embarking on the same tremendous crowd-funding voyage we witnessed in tech news just a couple months ago. Yes. Zach Braff of Scrubs and Garden State Fame has already garnered $1.6 million of the $2 million budget total with 28 days to go. Autumn Reeser is a long-time client of Oniracom. With this most recent update to her web presence, we were able to advance her website to be more in line with her blossoming career. Her website still follows the same project-centric formula, with a clean and simple design to complete the experience. On March 14th, the San Francisco International Asian American Film Festival will premiere the documentary ‘Peace Love Ukulele,’ an in-depth profile of ukulele master Jake Shimabukuro, at the Castro theatre. Produced by the Center for Asian American Media (CAAM), the documentary follows Jake on tour throughout the United States and Japan and examines how he revolutionized the ukulele and became the most innovative player in the world. In this engrossing and suspenseful feature film debut by filmmaker Andrew Okpeaha MacLean, two teenage boys who have grown up like brothers go about their lives in the comfortable claustrophobia of an isolated Alaskan town. Early one morning, on a seal hunt with another teenager, an argument between the three boys quickly escalates into a tragic accident. Bonded by their dark secret, the two best friends are forced to create one fabrication after another in order to survive. The shocked boys stumble through guilt-fueled days, avoiding the suspicions of their community as they weave a web of deceit. With their future in the balance, they are forced to explore the limits of friendship and honor. In addition to being able to download the film directly from the site, there are some really great packages available too. 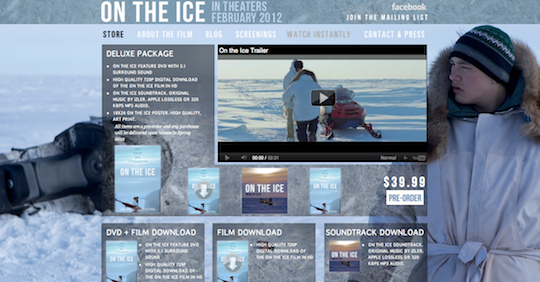 To check out the store and learn more about the film, visit http://ontheicethemovie.com/! 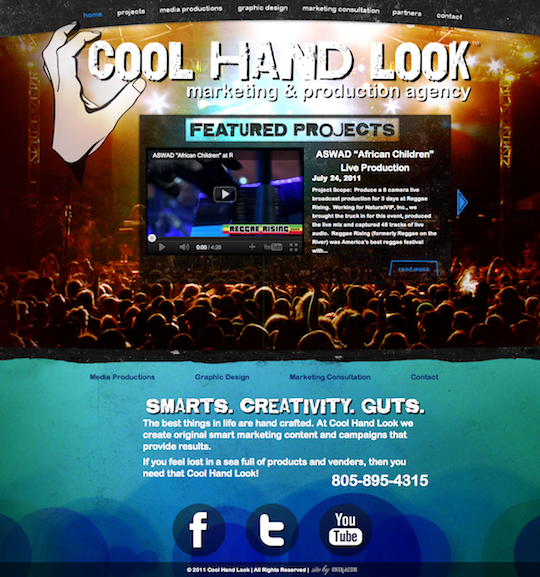 Luke Archer, close Oniracom friend and partner, has launched a new project Cool Hand Look - a hands on marketing and production company. Together with Luke, we built CoolHandLook.com to create the platform from which to highlight all that this multi-faceted venture encompasses. I hope you find some of these interesting and inspiring. Please share your favorites in the comment section.